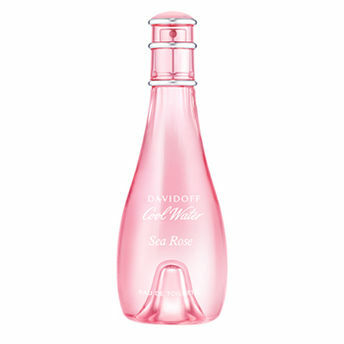 Buy Davidoff Cool Water Woman Sea Rose EDT in India on Nykaa. Revealing blooming feminity and innocent beauty of delicious foretaste with the subtle notes of nashi pear & violet petals, the Davidoff Cool Water Woman Sea Rose has a tender facet. Its rich and tender floral composition arranged around peony and freesia delicate flowers form the heart note whereas musk and blond cedar wood at the base adds a deep and stirring touch of sensuality. Explore the entire range of Perfumes (EDT & EDP) available on Nykaa. Shop more Davidoff products here.You can browse through the complete world of Davidoff Perfumes (EDT & EDP) .Alternatively, you can also find many more products from the Davidoff Cool Water Woman Sea Rose Eau De Toilette range.